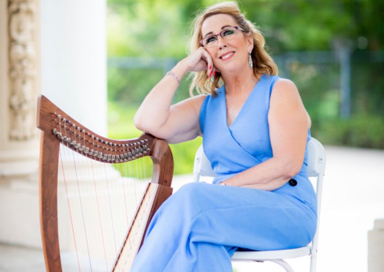 As an acting ambassador for music and dedicated harpist, Pam has performed for brides from all over the world and offers a private consultation once booked. This harpist was the very first University qualified harpist in Co Down to offer an impeccable professional standard to her wedding clients. She is continually pushing the boundaries to excel in her work and is known throughout the country as a virtuoso harpist and singer! Performance credits have included music for Pope John Paul 11, some of her high-end weddings included UTV Managing Director's marriage to his beautiful bride. She offers couples powerful and effective consultations free of charge when bookings are finalised within 2 weeks of enquiry. Her speciality and expertise is in helping couples enjoy their wedding day - she believes in love at first sight "Don't marry someone you can live with, marry someone you can't live without!" and this is reinforced through her music and singing which flows naturally with great ease. Newly married couples have said her presence alone is empowering. 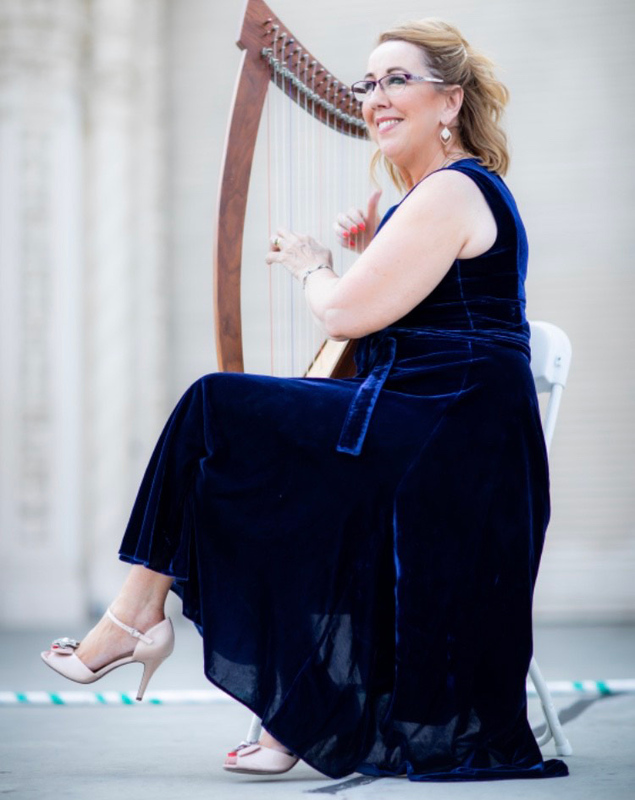 As an acting ambassador for music, expert champion and dedicated harpist this lady has performed for brides-to-be from all over the world and is available for private consultations, by phone or email once booked.